But The Society of St James (SSJ) is one of the organisations in Portsmouth fighting to make this festive time of year special for rough sleepers. The good cause offers accommodation and recovery support to homeless people 24/7, all year round, in a bid to get them into sustainable housing and a healthy way of life. 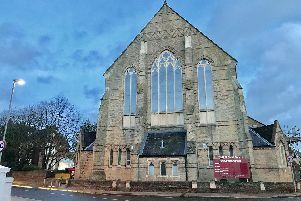 It is one of 11 organisations set to benefit from a share of donations made to The News' 2018 Comfort and Joy campaign, which will come to an end with a special carol service at St Mary’s Church in Fratton on Friday morning. Jane Smith is the operations director for SSJ and for almost a decade has seen how the scheme, which deals in £5 supermarket vouchers, can impact her clients. ‘We have been running services in Portsmouth for seven or eight years and we have always been amazed by how just willing people in this city are to help,’ she said. ‘A lot of our service users are here because they have been through family breakdowns and difficult situations which have left them on their own. This year, more than 14 people in Portsmouth who turned to SSJ for help will be spending Christmas together in their supported accommodation – purchased by the charity to promote independence and get the ball rolling to a steady future. And how people in that environment spend their vouchers, Jane says, is often touching. ‘People say if you give someone in that situation a voucher, they may just go and spend it on beer, wine or whatever,’ she said. As well as sending a gift card to the address printed right, you can donate to Comfort and Joy via postboxes at Tesco superstores in Fratton, North Harbour, Gosport and Fareham.